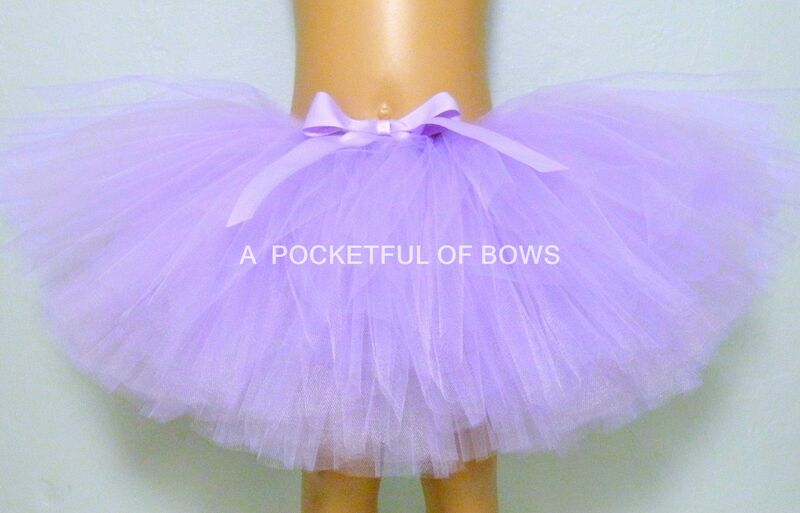 Lavender tutu skirt with pretty bow at the waist. 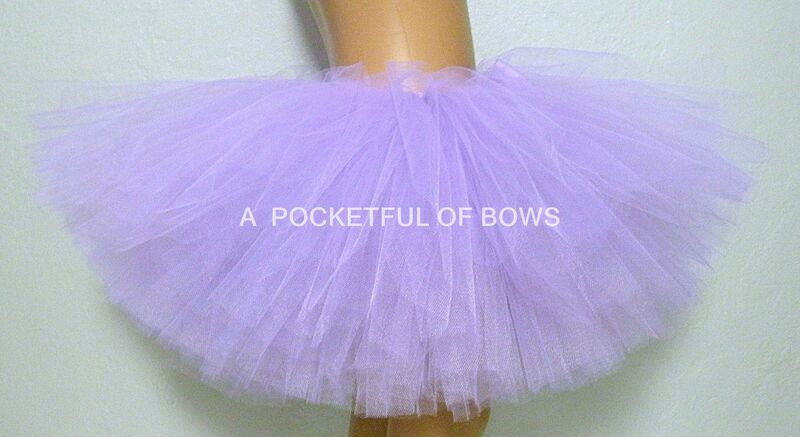 This tulle skirt is full and fluffy and it is tied and sewn so it won't come apart. 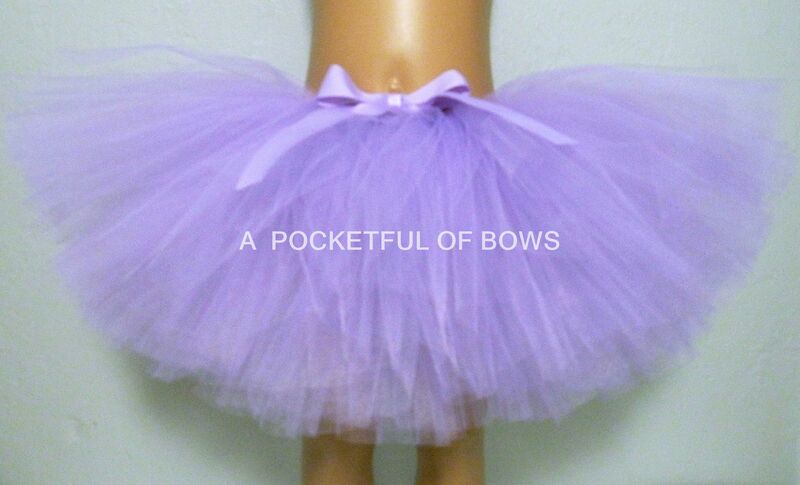 Fun for a birthday party tutu or wedding flower girl tutu skirt. ***Important: Please check the listed waist measurement on the suggested sizes below. Measurements are always the best way to be sure you order the right size.